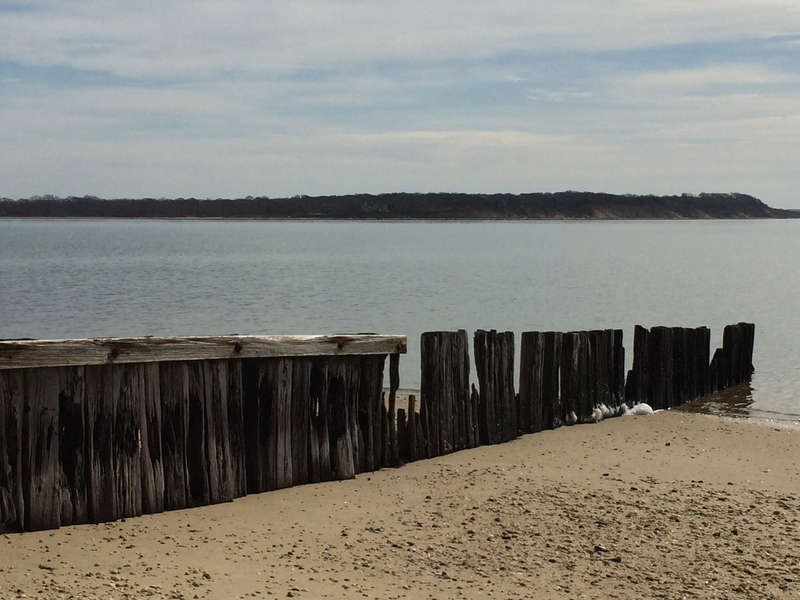 Last weekend my brother, husband and I took a walk down Shell Beach, a long spit of land that juts out into the Bay on the south side of Shelter Island. It was the first day in memory where the temperature reached the 40s–a relative heat wave. 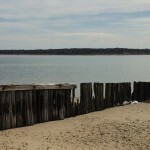 The sun was warm even if the wind was brisk as it blowed off the frigid bay. The dog zoomed around, happy to be sniffing at the millions of shells littering the beach. As it turns out “Shell Beach” is aptly named. As we rounded the point and began the trek back to the car we came across a place of magic incantation. 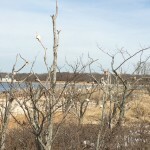 Well, that is what I immediately thought as I gazed at the grove of stunted and seemingly dead trees emerging from the beach sand. 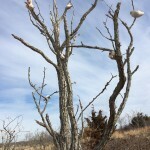 Each tree boasted conch shells in various forms of brokenness which were placed on the barren branches. Where did they come from? 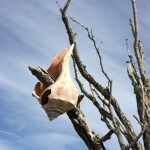 Who was the first person who placed a shell on a branch and how did that beckon others to do the same? Here nature and culture collided in silent witness to the fetishizing of the natural world. 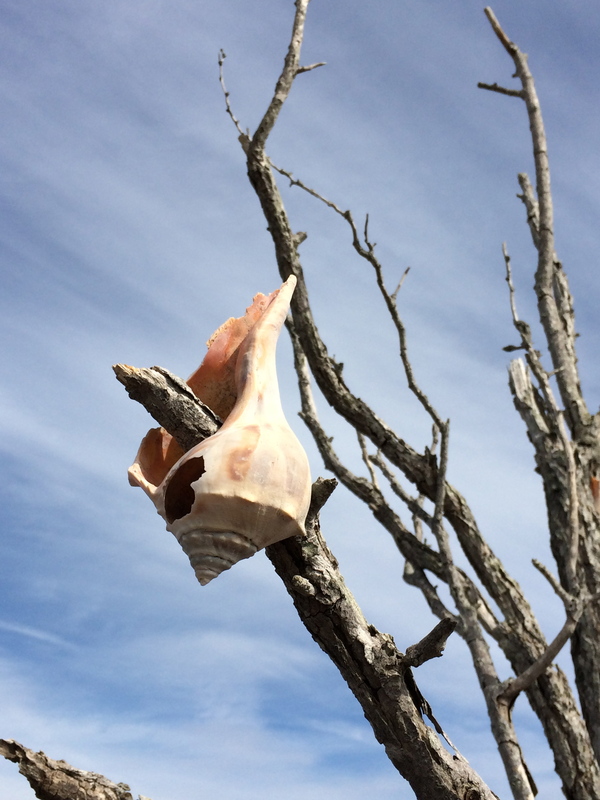 Now natural elements (conch shells) were transformed into sign/symbol/icon of meaning (culture.) Was this a cultish religion? a druidic memory? a game of children? (No, the shells were too high on the tree branches for children to have begun this event.) An offering to the sea gods? 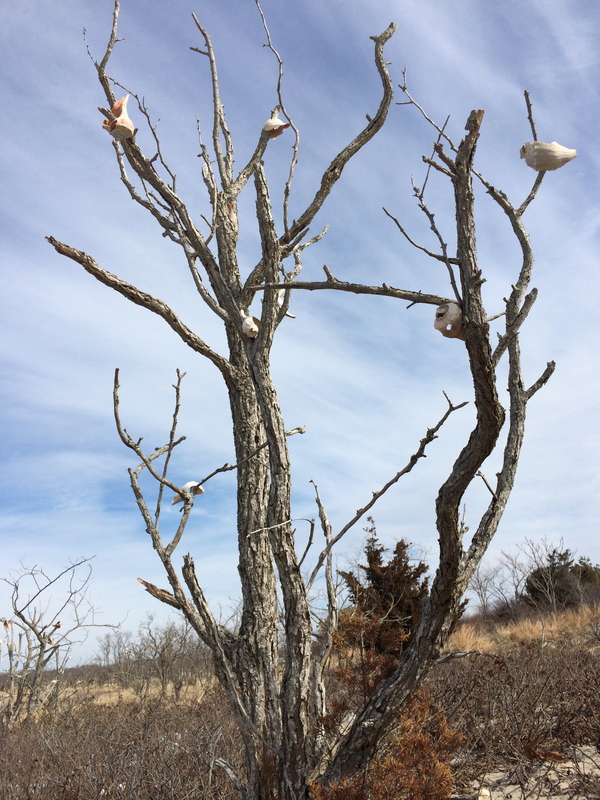 There remained something both startlingly human and almost sinister in this vision of trees with shells. The violence with which each shell was impaled on a branch was not lost to us viewers. We shivered… and moved back towards the warmth and safety of our car, our culture. But I think often of those branches and I am tempted to return to sit silently as a witness.